I've been into making juices at home a bit lately, and experimenting. 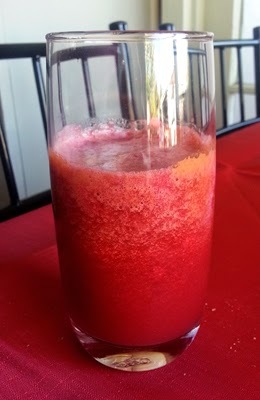 Today I made a beetroot, pineapple, celery, carrot, and ginger juice. Juice all ingredients and pour into a glass. Add small amounts of ginger inbetween adding other ingredients.